Special tubing sweeps allow the Retractable Hose to travel freely within the tubing. Inlets can be installed within any 2' x 4'wall cavity. 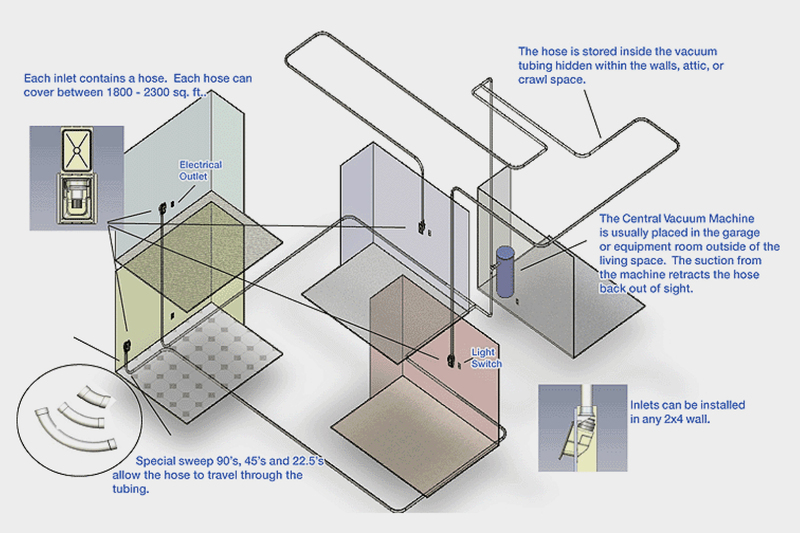 Hose lengths are customized according to the size of the floor. Each inlet can cover up to 2300 sq. ft.
All the tubing is connected to a central power unit usually placed in the garage, basement or equipment room. Installation is simpler and easier for new construction or retrofitting an existing home.